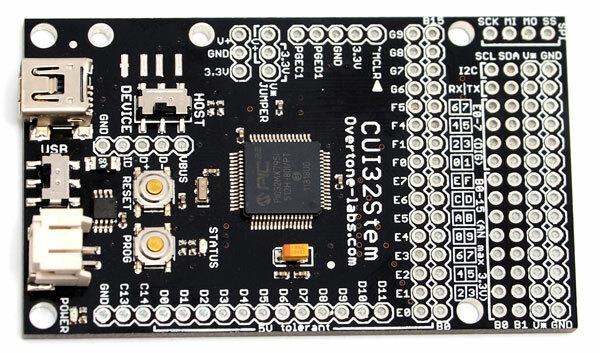 One of our favorite designers Marcus, creator of the Hybrid SID player, made a PIC32 development board that works with the snap-together Grove rapid development system. An operating system called StickOS runs simple BASIC programs. His work is now on sale at Seeed Studio. This entry was posted on Wednesday, March 14th, 2012 at 7:00 pm	and is filed under dev boards. You can follow any responses to this entry through the RSS 2.0 feed. You can skip to the end and leave a response. Pinging is currently not allowed. Does the Basic have a math package? Rich (the designer) is a nice guy and helpful.